Guests visiting the bed and breakfast at #92 who stay in the Abby and Andrew Borden room get a thrill finding the hidden cat face and skull in the headboard. 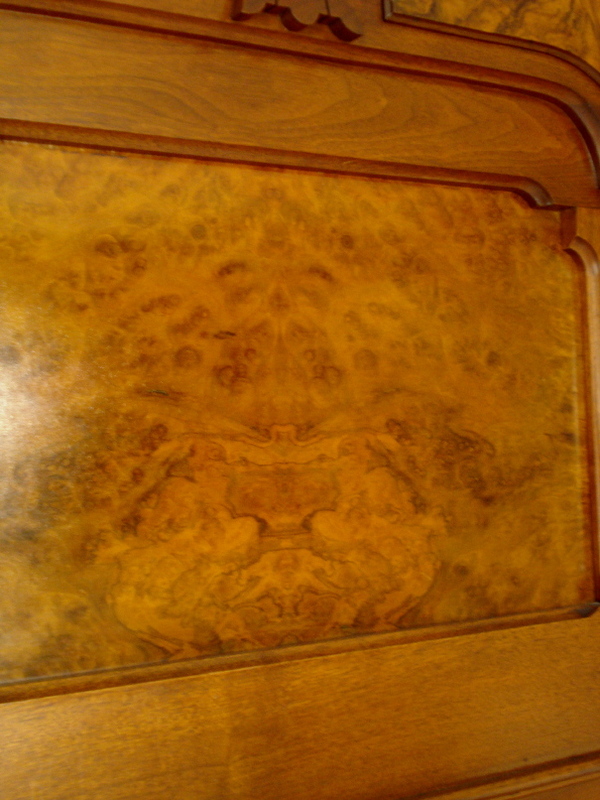 The antique Renaissance Revival walnut bed with the high headboard features burled insets where these strange figures can be seen. 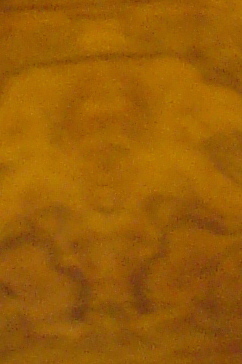 Most recently a guest spied a skull at the base of the cat face. Can you spot it? This much-requested room receives a good many comments from overnight guests of meowing, “something jumping on the foot of the bed”, purring and other feline sounds. The story goes that Lizzie may have killed Abby Borden’s cat by decapitation or chloroform. 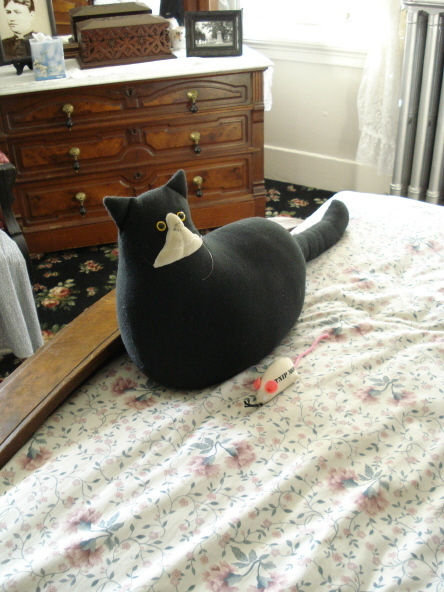 In any event, the stuffed kitty on the bed is said to move around in the night and has made such an impression, visitors now bring it toys.